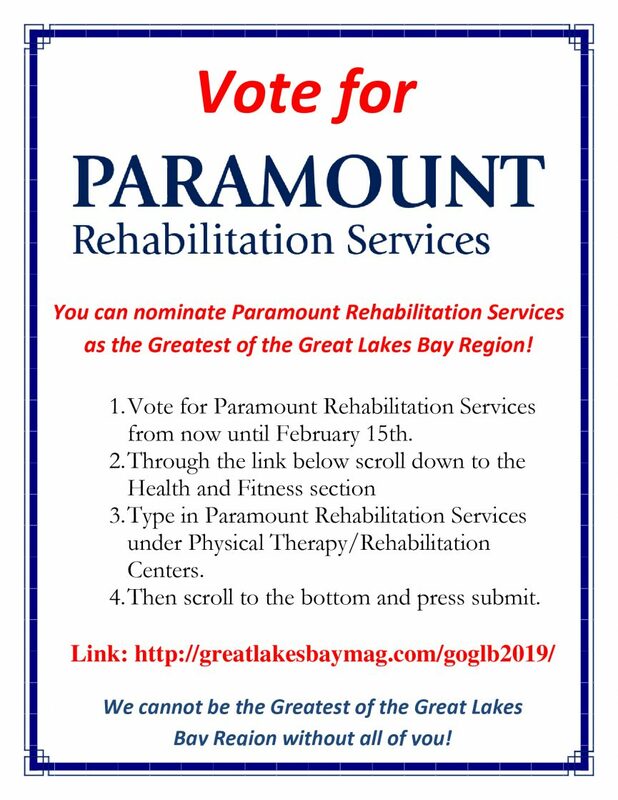 Vote for Paramount Rehabilitation Services! You have until Friday, February 15th to vote! Follow this link to the Great Lakes Bay Magazine to nominate us as the greatest in the great lakes bay region.